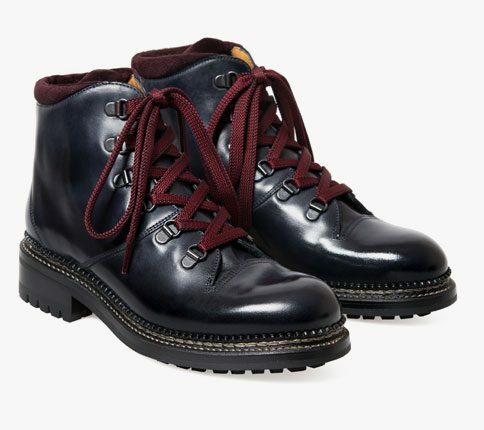 Old Dublin oxblood leather hiking boot with navy cashmere suede cuff, lined with french calf leather for a soft cosy feel. Our laces are specially made for us to compliment the navy & bordeaux colours of the boot. The construction is Goodyear welted with a norwegian welt to add extra detail and strength. 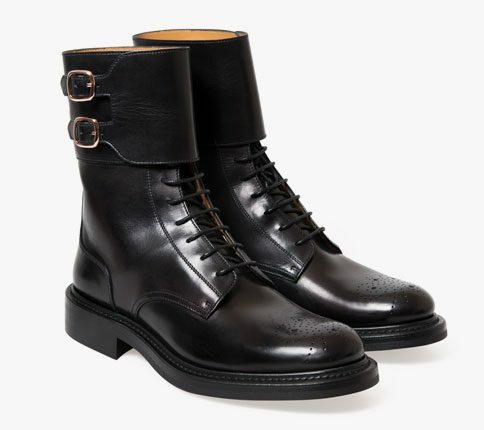 Finished with a hand polish bordeaux wax, these boots will be your go to winter boots.